NEW MEXICO: 1,000 citizens will be killed sometime soon. Needless to say, they should be prepared for assault by the government. Be prepared. There is no excuse. You are aware of them. note: Ananda is a buddhist, so you know this is really serious. NOTE: WE HAV WRITTEN ABOUT MARTIAL LAW AND CONCENTRATION CAMPS MANY TIME, BUT THIS CHANNELED MESSAGE HAS BROUGHT IT BACK INTO THE LIMELIGHT ONCE AGAIN AND MORE SERIOUSLY. www.greatdreams.com/political/lady-grey.htm - Similarto THE LADY IN GREY - DEATH IN THE OFFICE!!!! There are over 100 primary and secondary concentration camps across the. US. . .. In 1997, 20 more concentration camps were under construction. DEE FINNEY's blog July 1, page 247 IS WWIII STARTING? ... has aided in their enforcement by directing an increase of food supply to the Philippines for the purpose of caring for the natives in the concentration camps. Jun 13, 2000... brought over to the US through our own Intelligence community who formerly worked in mind control research in the concentration camps. PEOPLE DREAMING OF CONCENTRATION CAMPS - WHY? 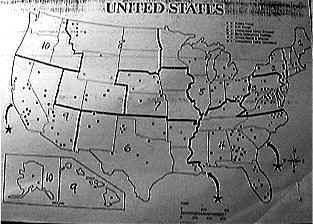 UPDATED 8-26- 07 - LIST OF CAMPS BY STATE 8-26-07 CONCENTRATION CAMP PLANS. Feb 20, 2012 ... 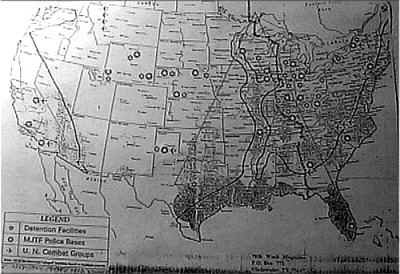 CONCENTRATION CAMPS IN THE U.S.? - ... It is not operating as a prison at the moment but is masquerading as part of a water facility. Jul 27, 2003... hand that seems to suppress humanity to why Clinton gave secret technology to the Chinese to reports of concentration camps in the US. A November Concert in Washington D.C.
Once you are filled with fear, accept the 'mark' or chip, it will be easy to establish Martial Law. These leaders will now control your every thought and action. Sep 20, 2012 ... FINANCIAL PROBLEMS THAT WILL CLOSE THE BANKS, ANDMARTIAL LAW .. . www.greatdreams.com/ -. DISASTER DREAMS FOR 2007. Apr 26, 2009 ... “Plus the possibility of martial law, but that's a whole other conversation,” added Doocy, with Johnson responding, “not going there”. www.greatdreams.com/war/tulghur-iran.htm - Similarto TULGHUR, IRAN - ANOTHER WAR? ... MICKEY MOUSE LINE - another destructive hurricane will put this former state in open and complete military control (Martial Law) for the "good" of the citizens.